Founded in 2005, Bristow Landscaping, LLC, is a full-service landscaping company providing superior service to both residential and com mercial clients in Wake County and the surrounding communities. Bristow Landscaping is family owned and operated by Logan and Leslie Bristow. 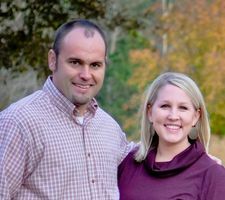 Logan is a 2005 graduate of North Carolina State University, where he earned a Bachelor of Science degree in Horticulture Science and a minor is Agriculture Business Management. Logan is a NC Registered Landscape Contractor and a Certified Plant Professional. Leslie is a 2004 graduate of North Carolina State University, where she earned a Bachelor of Arts in Public Relations and a minor in Spanish. Prior to founding Bristow Landscaping, Logan served as an operations manager for Logan Trading Company, a successful garden center in Raleigh that opened in 1965 under the leadership of Logan's grandfather, Bob Logan. Coupled with a high level of experience and education, Bristow Landscaping is here to meet your complete landscape needs. Working alongside us each day is a talented team of hard working employees. Bristow Landscaping would not be the company that it is without this hardworking group. We have been fortunate to employ the same men for years. They know our customers well and take each job serious from start to finish. Each employee is treated with dignity, respect and fairness. Since employee satisfaction is so high on our list, you can expect nothing but the best from our team.